Many system administrator monitor their Active Directory infrastructure via tools such as SCOM, Event viewer, Performance monitor or even third party application monitors. 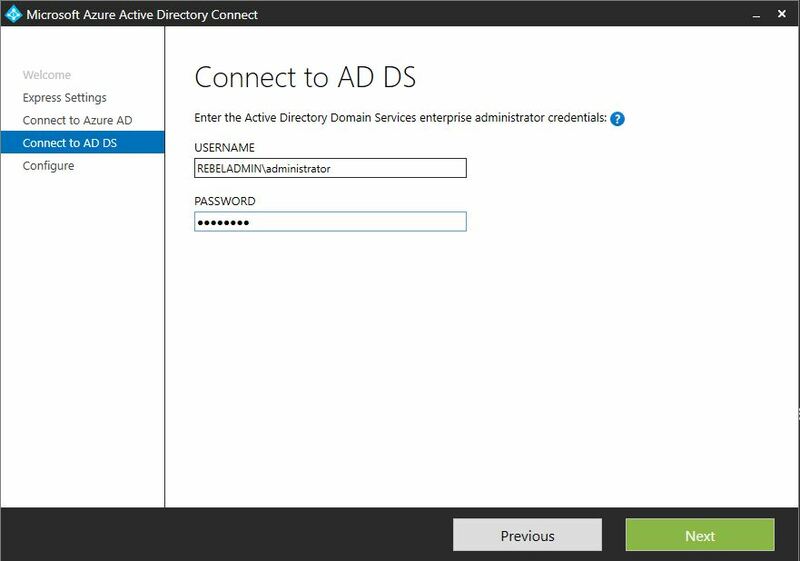 When the requirement of the Active Directory infrastructure is to grow to meet certain demands, so to grows the cost and effort put forward to monitor the newly increased AD infrastructure. This becomes more complex in a hybrid infrastructure deployment. 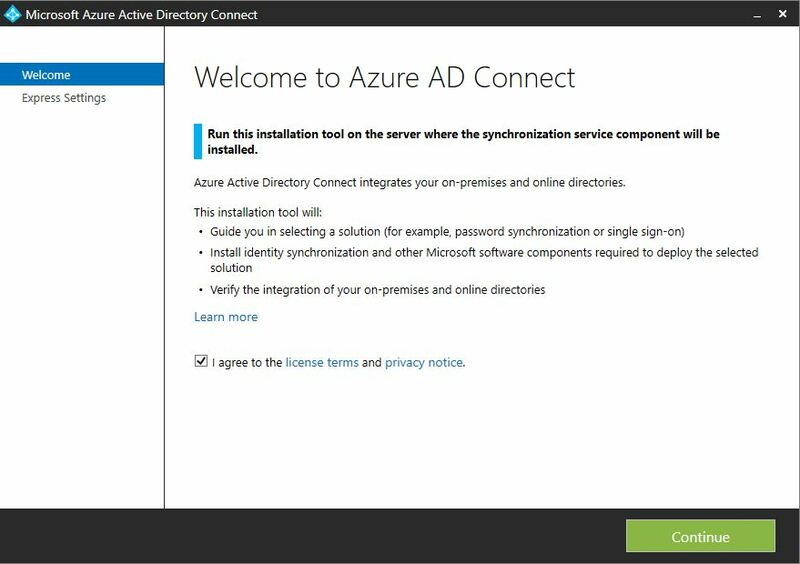 Enabling Azure AD integration with on-premises AD provides a reliable and productive identity platform to adhere to said organizations needs.. It also however increases the importance of maintaining a healthy on-premises AD infrastructure and sync service in order to achieve this goal. 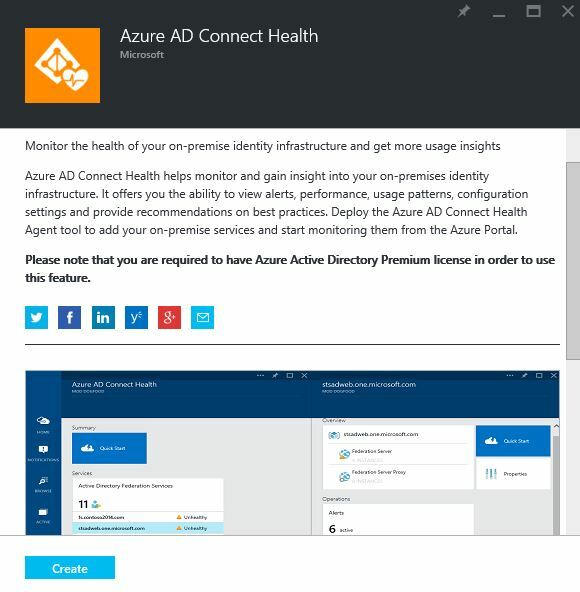 Azure AD Connect Health provides a monitoring tool to for on-premises AD infrastructure. 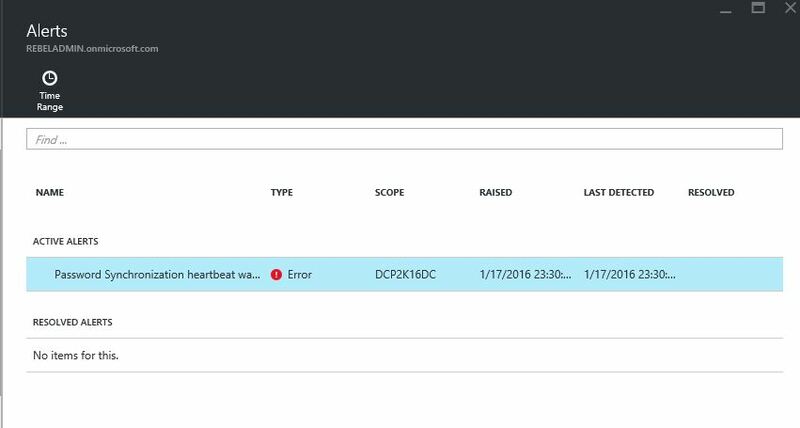 It provides the ability to view alerts, performance, sync errors, configuration settings and more. The idea behind this is to build a central, cloud based approach to get more insight about the on-premises AD infrastructure. 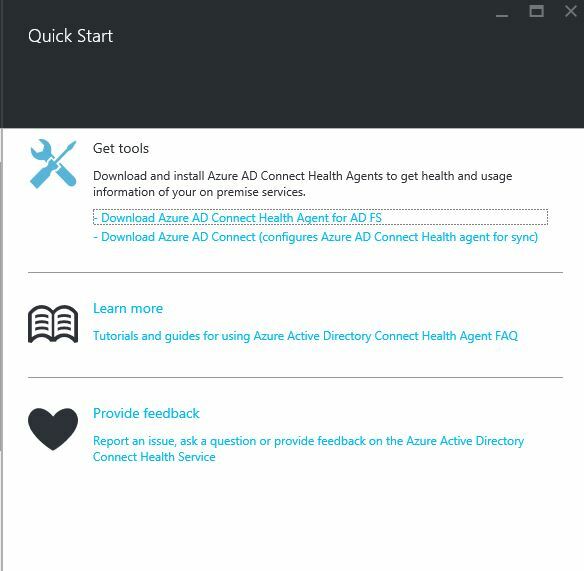 The solution also provides support for AD FS 2.0 & 3.0 and can monitor the health of on-premise AD FS configuration. The following are the steps to configure this service. 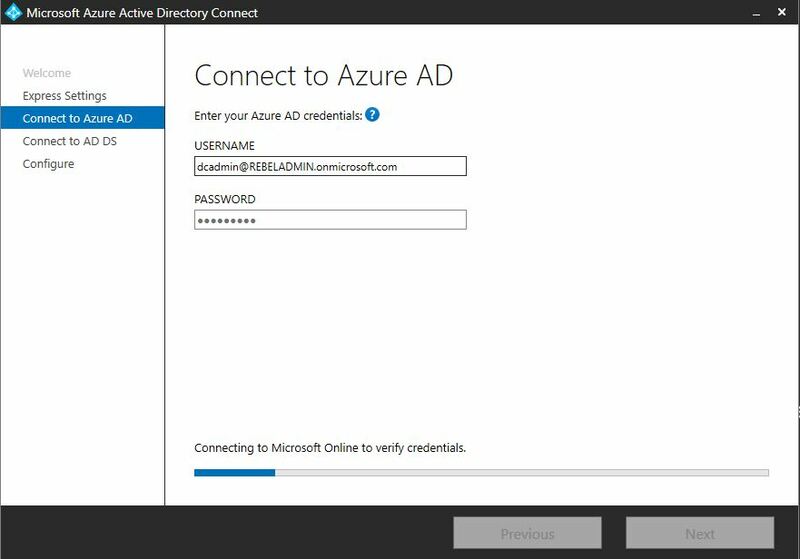 This demo will be using an on-premises AD server which is built on windows server 2016 TP4. 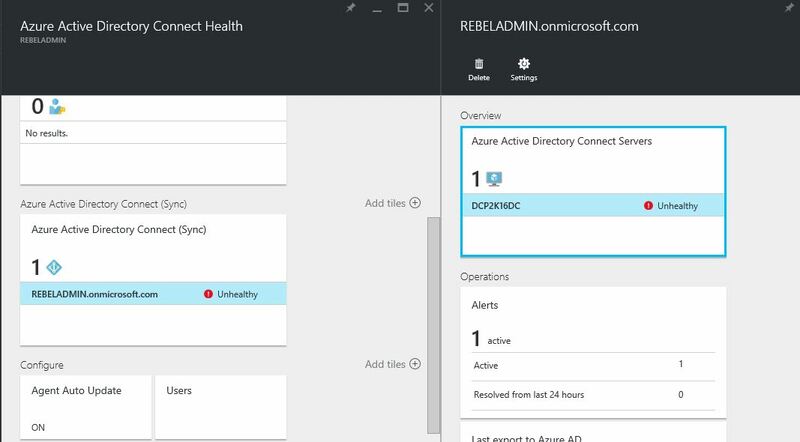 In the demo, the target server is do not have Azure AD connect configured. If you already had it, it is not necessary to do the agent install. 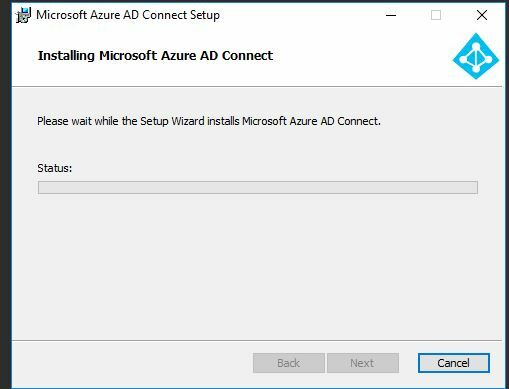 Once installation is done, double click on the short cut for azure AD connect. Then in first window, accept the terms and click continue. 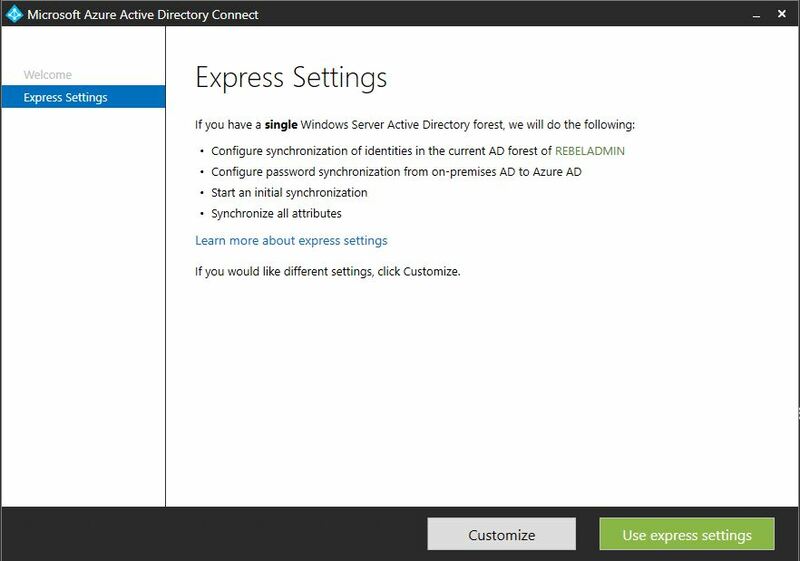 In next window, use express settings unless customization is required. 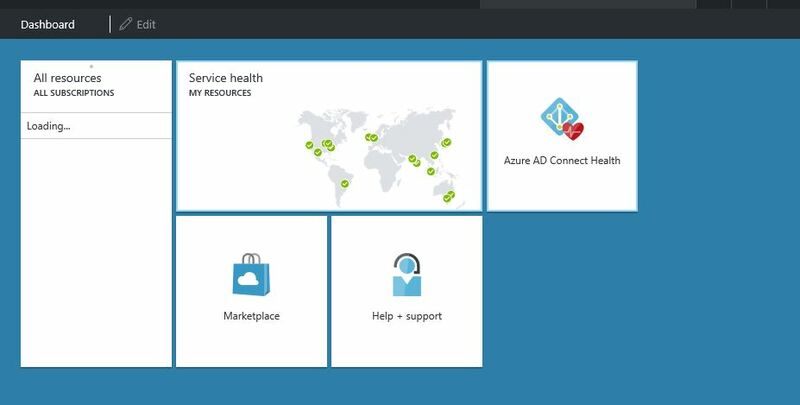 After the sync completes, log back in to the azure AD connect health and you can see the monitoring info.